Welcome to the Law Library Special Collections Guide! 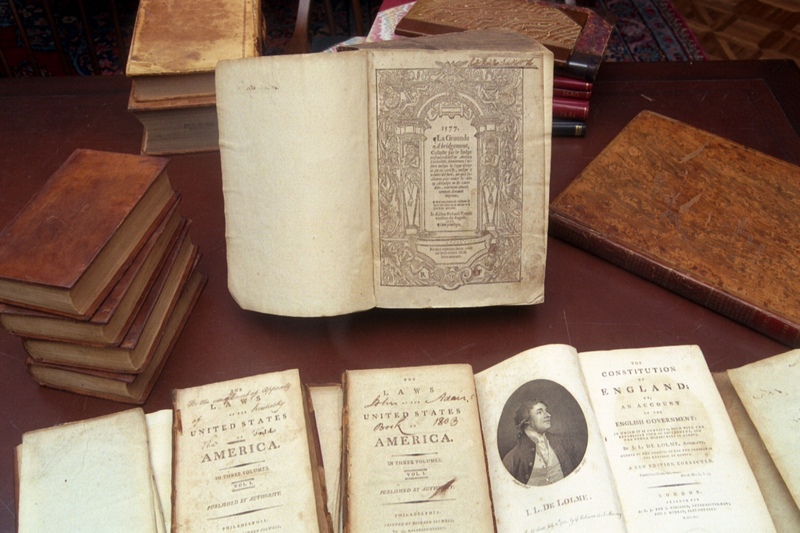 Each special collection held by the Regent University Law Library is unique and collected for a particular purpose. Use tabs above to find information on the history and usage guidelines for specific collections. Links on the banner at the very top will take you back to law library resources and information for specific user groups. Most Special Collections items must be viewed from within the Special Collections Room. We welcome researchers from all institutions and disciplines to make use of our collections and facilities. Inquire about our collections or make an appointment by contacting us at (757) 352-4145 or lawref@regent.edu. Occupancy: limit of three persons, with rare exception. Food, drink, tobacco, and chewing gum are never permitted. The extent of the use permitted is limited by the guidelines associated with the particular collection, and the physical condition of the item requested. Only the attending librarian may retrieve and reshelve materials requested by a user. Materials so retrieved may not at any time leave the Special Collections Room without the express permission of the attending librarian. So that we can best protect our fragile materials, guests are asked to use the desk lamp instead of the overhead lighting, and refrain from adjusting any equipment within the room. 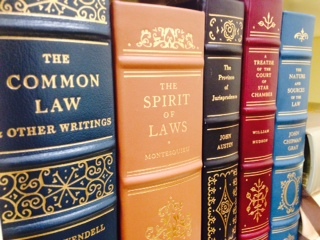 The Law Library reserves at all times the right to restrict the use of a particular collection. This policy is particular to the Law Library Special Collections Room. Please visit the University Library for information regarding other Regent University special collections.